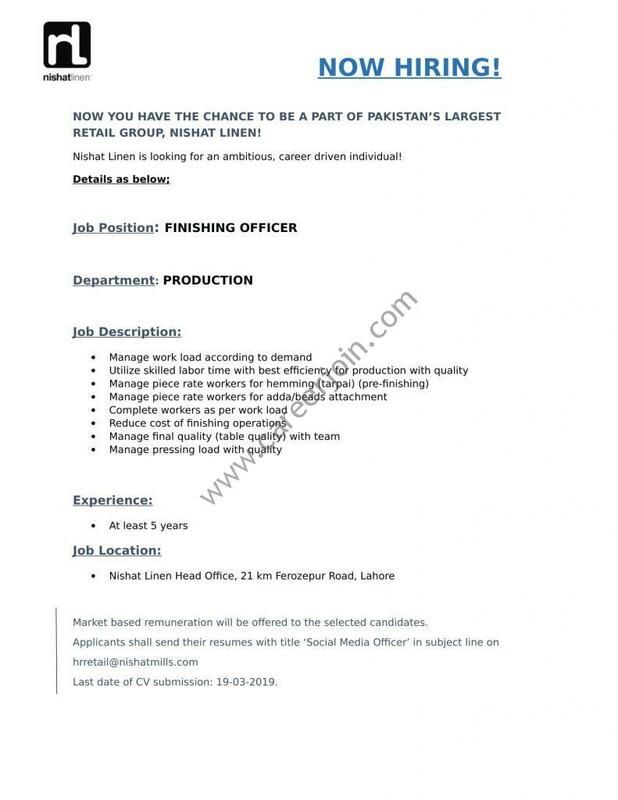 Nishat Linen Jobs March 2019:JOB OPPORTUNITY! 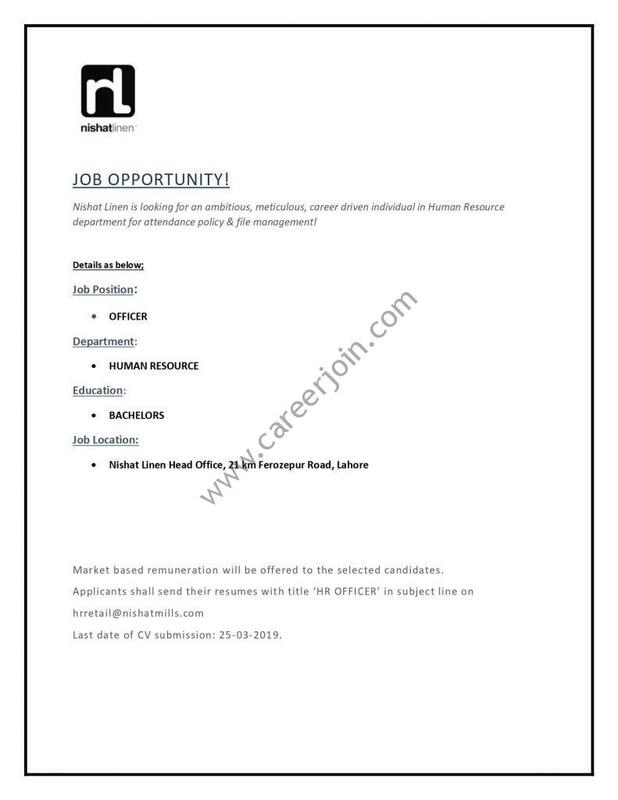 Nishat Linen is looking for an ambitious, meticulous, career driven individual in Human Resource department for attendance policy & file management! Market based remuneration will be offered to the selected candidates. Last date of CV submission: 25-03-2019. Nishat Linen is looking for an ambitious, career driven individual! Last date of CV submission: 19-03-2019.